Over the past few years, much of the conversation on internet marketing has been focused on on the importance of social media. This is understandable as many businesses are still just realizing that what was once a trendy site for young people is a powerful tool for advertising and marketing. However, this doesn’t mean that marketers should forget about the old avenues of internet marketing. Not only do they still work, some of them may be more effective than social media depending on the overall goal of a campaign. 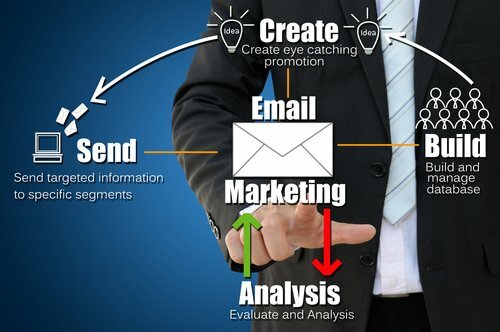 This post will show why email marketing should still be near the top of a marketing toolbox. Recently, L2 Think Tank released a study on the sources of traffic for retail sites that surprised some business owners. The study showed that e-mail marketing produced nearly four times as much traffic to retail sites than social media. To be fair, this study had an extremely small sample size, but it does illustrate the persistent value of email marketing. While the study didn’t contain any data as to the reasons for the differences, here is one possible take away from this information: When trying to drive web traffic to retail sites, the direct approach, along with incentives, works bests. A direct approach is what set the top four sources of traffic apart from social media. But there is something else that can be seen in this data that shows the importance of email marketing. The top two sources of retail website traffic (search traffic and direct traffic) all come from people who already know about a website or product and were in the process of going there. Email traffic and referral traffic both require a marketing message that a viewer sees which drives them to action. Social media has to diffuse marketing messages with other kinds of content, since daily postings of advertisements would deter fans. Email marketing has no such limitation because the people who sign up for email lists normally do so specifically to receive advertisements and specials. This is why email marketing can be so effective. Email takes a receptive audience and gives them incentives to visit a website. There are also certain things about email as a medium that make it invaluable to a comprehensive marketing campaign. One thing is that everyone has and uses their email. The average person has three email accounts. Second, email is the way that most internet users prefer to communicate. A recent study from The Buntin Group and Survey Sampling International showed that among internet users, email is the most preferred form of communication. It tied with Facebook and beat out other forms of digital communication like Twitter, Skype, and text messaging. The same study also showed that the average internet user spends the most time on their e-mail, followed by Facebook. A study from Custora showed that for the past four years, email marketing has consistently been the second highest source for customer acquisitions behind organic search. The percentage of customers acquired by email has quadrupled since 2009. It also showed that the expected future profit businesses can expect to earn from a customer is nearly 10 times higher for customers acquired by email than those that come from Facebook. Every form of mass media has special characteristics that can make it useful for different kinds of marketing campaigns, but email has a universal appeal that make it valuable to almost every kind of marketing strategy. Though the response rate may seem low, the research shows that customers are more likely to come to a retail website after getting an email marketing message than after visiting social media channels; and over time, the customer acquired through email marketing will spend more. It’s important to note that social media is best for promoting brand awareness, and it is that awareness that drives the top two sources of traffic, search traffic and direct traffic. People search for sites they heard of and they can only directly put in an address if they knew about it from somewhere else first. This is where the value of social media can be seen. More on that in the next post.